I cut the top of my thumb yesterday slicing up a lime for shrimp skewers on the BBQ. 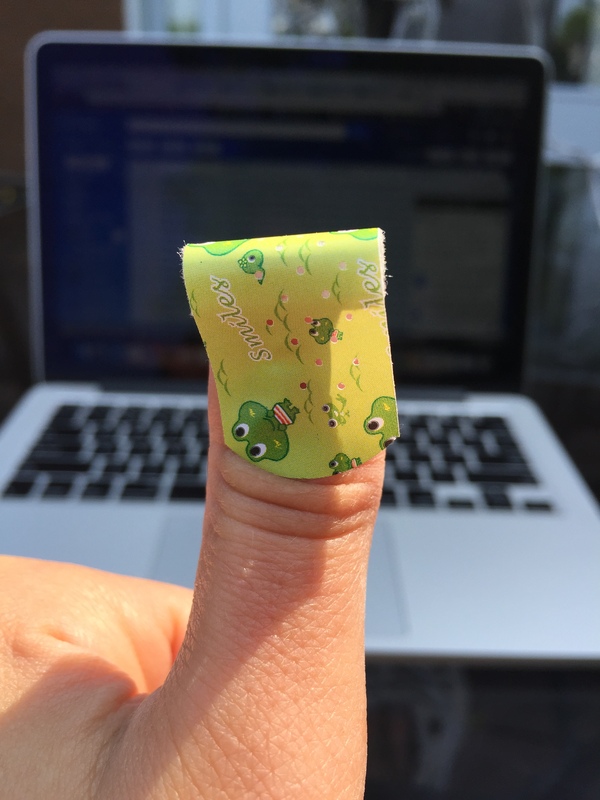 This morning, I went to open a new band-aid and, for some reason, the band-aid had frogs on it. This reminded me of an event Science Timmins facilitated as a culminating activity for my Grade 5 science class in November 2013. 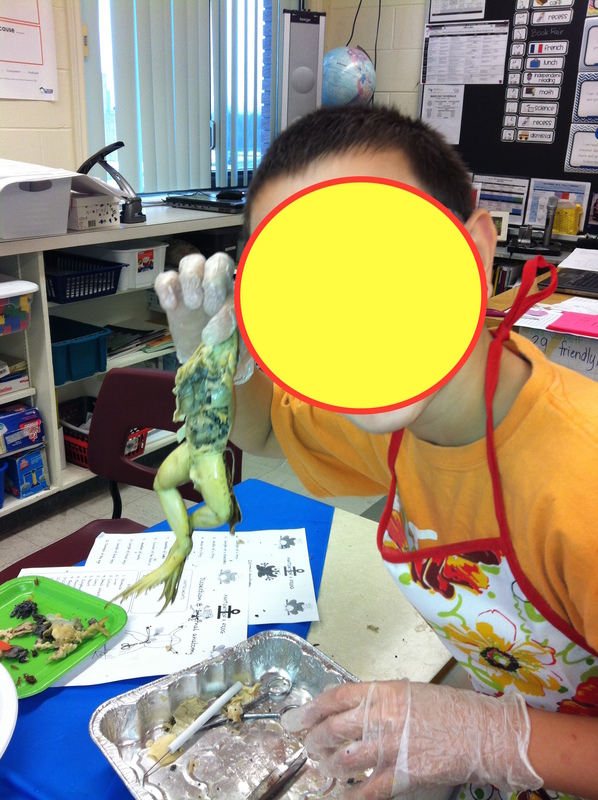 We dissected frogs at the conclusion of our Human Organ Systems unit. 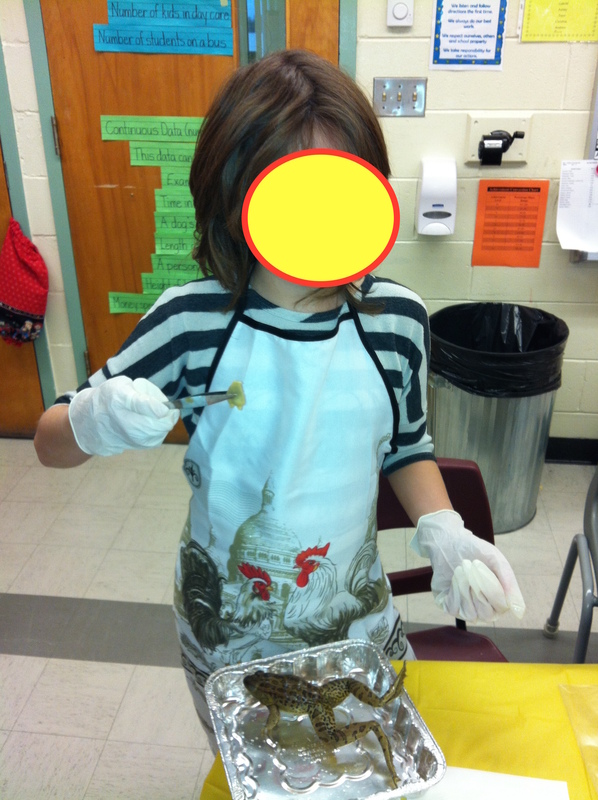 Or, as one of my students put it, “digesting frogs.” In his defense, we had just been learning about digestive systems! Why frogs? A frog’s anatomy is similar to that of a human being’s anatomy; that is, we both have the same types of organ systems, but of course a frog’s is much simpler than ours. 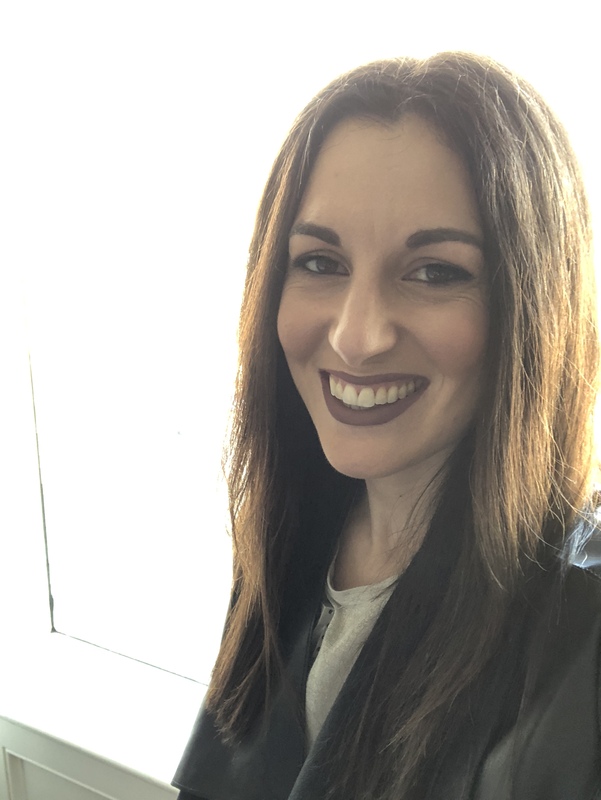 MHHE’s Virtual Lab: Virtual Frog Dissection provides students with an opportunity to virtually compare both interior and exterior anatomies of frogs and humans. This website also contains audio instructions; a great accommodation for those students who have difficulty reading, or for those students who are auditory (as well as visual) learners. The students were so excited for this activity, and for every day leading up to Dissection Day, they would talk about it or ask if it was actually happening (to this day, the students still talk about it and ask if they will have the opportunity to do it again)! When the day finally came, they were beside themselves. 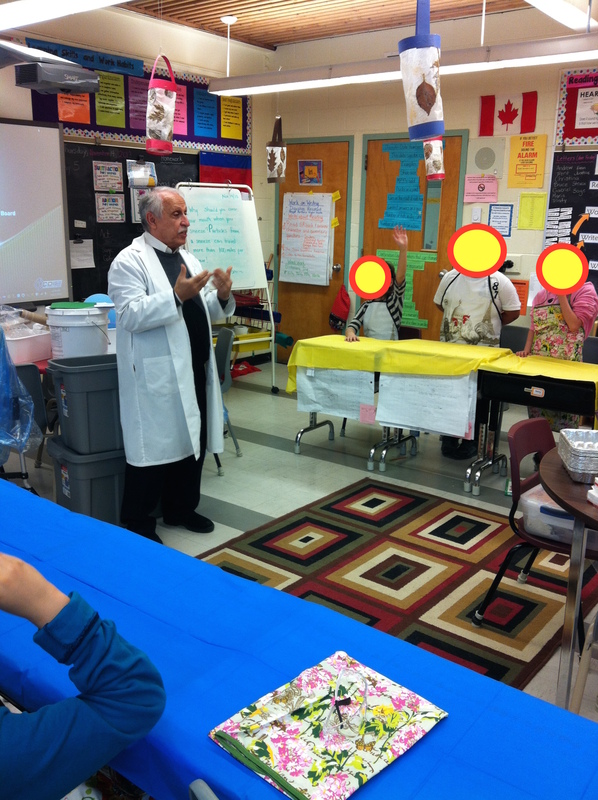 Antoine Garwah outfitted each student with goggles, dissection kits and smocks, so they looked like proper scientists. 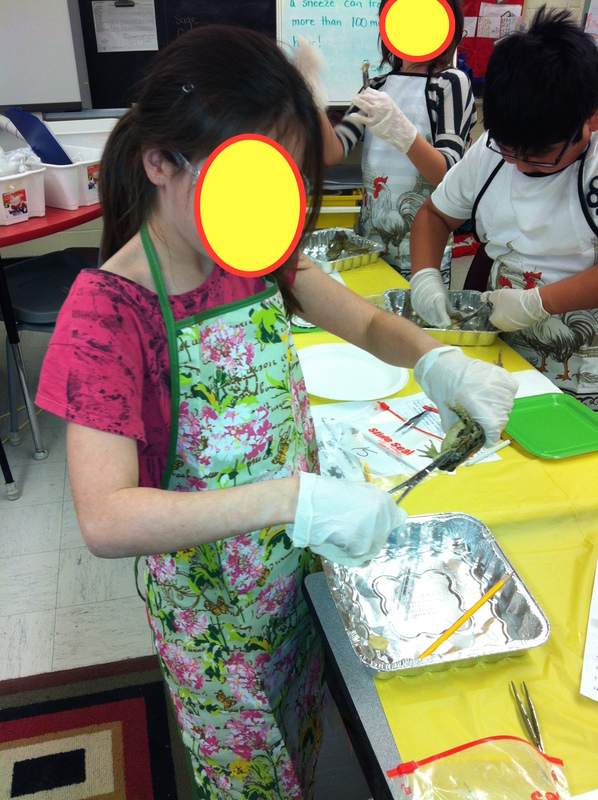 We had prepped their “stations” (their desks) with drop cloths (plastic tablecloths from Dollarama, aka an educator’s second home), and each student had an aluminum tray for the frog to lay in during the procedure. 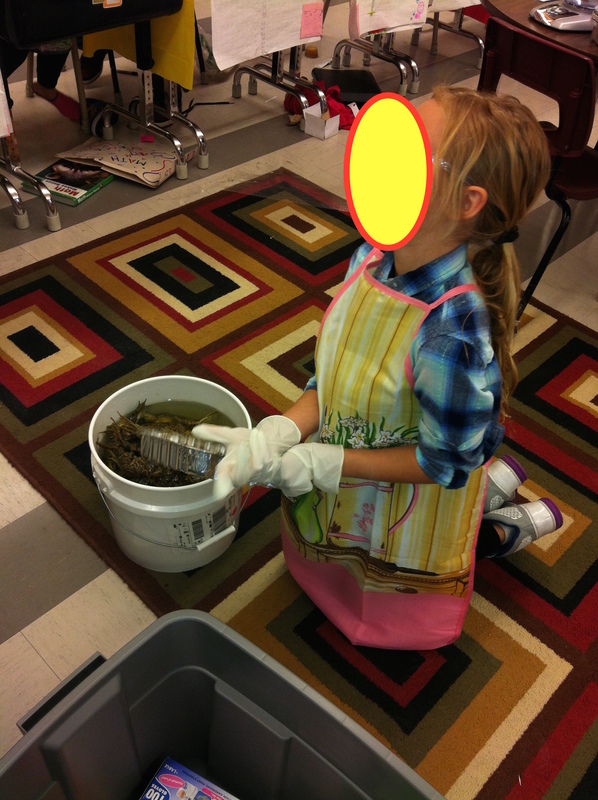 The frogs were transported to us in a big white bucket, and each student took turns to pluck his/her frog from the bucket with some squeals and, for some, after a few attempts! Each and every student took part in actually making incisions in the frog’s body, as instructed by Antoine, and then worked diligently in identifying each organ system as they came to it. I will tell you that a few of the students had to go out to the hallway to take a breather in between sessions, but I was surprised at their collective stamina! This was definitely their first foray into this type of activity, and I know that they all believed they were scientists that day. Here is a parent letter I had drafted prior to our activity, to ensure that each student had consent to participate. It is a fully editable Google Doc, so please use, edit and share should it benefit you and your students. The Frog Dissection app for both iOS and Android provides a decent alternative to the real thing; and also offers an accommodation for those students who have moral or ethical objections to dissecting animals. iTunes sells it for $3.99, while the Android version is $5.17 as this post goes live. 3. demonstrate an understanding of the structure and function of human body systems and interactions within and between systems. In my daily curation habits, I have stumbled upon a free iOS and Android app called Epic! Books for Kids. If you are an educator, you will want to visit this part of the site. Epic! for Educators is available FREE to all U.S. and Canada-based elementary school teachers and librarians. This app contains thousands of books, you can create your profile and tailor it to include books YOU like to read, and there are even books that can be read TO you. How amazing is that? Epic, even. 🙂 Happy reading! Here is the link to download the app in iTunes. Here is the link to download the app in Google Play.